Feeding Rackmaker Pellets assures that bucks and does have the nutrients they need to thrive and reach their maximum genetic potential. Only nutrients leftover after all other nutritional needs are met go into antler production. Does have the stress of gestation, fawning, and lactation. Rackmaker Pellets contain special trace minerals, which are more easily utilized by deer. We use the highest quality proteins and the right balance of calcium and phosphorus to provide maximum availability of antler growing nutrients. Generally feed from antler shedding through velvet off to free ranging deer. 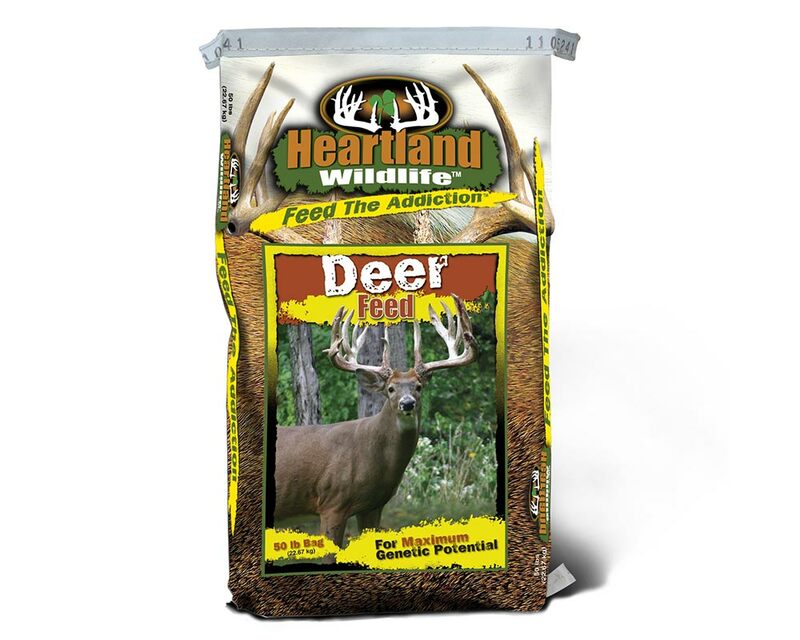 To get deer accustomed to eating pellets, blend 1 part pellets with 1 part whole shelled corn. Over a period of a few days, gradually replace the corn with pellets. Protect pellets from the weather. For large enclosures, start feeding Rackmaker Pellets 3 – 4 weeks before new antlers start to bud.